People get extremely nostalgic when it comes to their entertainment preferences, and the 1990s offered up explosions of creativity across all media. We still watch movies from that decade, we still listen to music from that decade, and we are apparently Googling the hell out of TV shows from that decade. Here are the 10 shows from the ‘90s that have been searched for the most on Google since 2004, according to research put together by ItsGr9. There’s a good chance you’ve searched for several of the series here, possibly just before you decided to read this story (and thank you for that), but you can still expect a couple of double take-worthy surprises. Let’s start with one of Sunnydale’s finest. The rare remake that overshadowed its successor to the point of irrelevance, Buffy the Vampire Slayer remains a hallmark of teen-based fiction, with a mythology that stretches across many seasons and beyond to spinoff Angel. (And even further if you’re keeping up with tie-in novels and comics.) 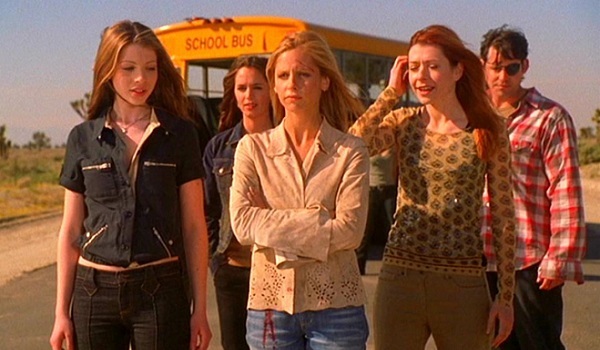 The later careers of the ensemble cast are more reasons why Buffy remains popular, and new generations of viewers will likely always keep the show’s online presence noteworthy. Plus, there are tons of people out there that will never stop hoping for a reunion, no matter what anyone says. 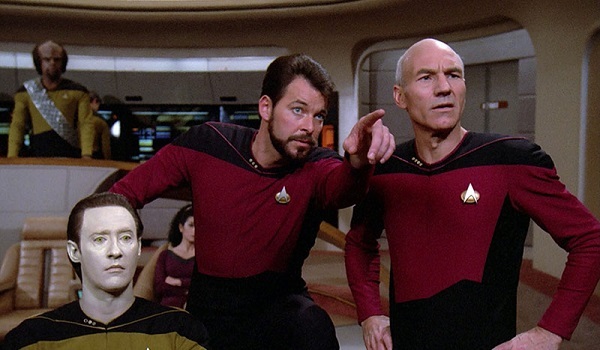 Though Season 1 of Star Trek: The Next Generation began in 1987, four of the show’s seven seasons took place in the 1990s, where it continued amassing a legion of fans years after Paramount pulled the plug on the show and ported the cast to the big screen. Patrick Stewart has been an Internet darling for years, and everyone else in the cast continues to garner attention for projects both Star Trek related and not. It remains one of the most important sci-fi series in TV history, and it clearly still has a hold on fans’ minds and fingertips. As a spinoff of Cheers, Frasier had the impossible task of trying to be anywhere near as popular as the crowd-friendly bar-set sitcom. 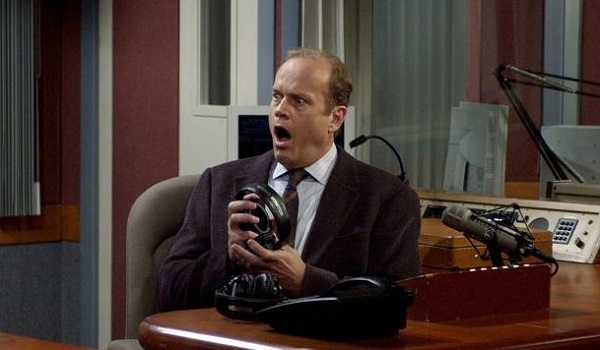 With the strength of Kelsey Grammar, David Hyde Pierce and the rest of the sensational cast, though, the more astute and high-brow Frasier is one of the reasons why NBC was such a comedy powerhouse in the ‘90s. I admittedly wouldn’t have expected this particular show to remain a Google search mainstay, given the lack of lingering plotlines, mysteries or reunion talk. But if everyone took a second out of the day to look up a Frasier quote, our collective blood pressure might lessen. A staple of ABC’s TGIF lineup in the 1990s, Boy Meets World won over legions of viewers by showing us the gradual maturation of a pack of school kids and the adults guiding them to maturation. Not to mention all the quote calendar-ready advice from Mr. Feeny. 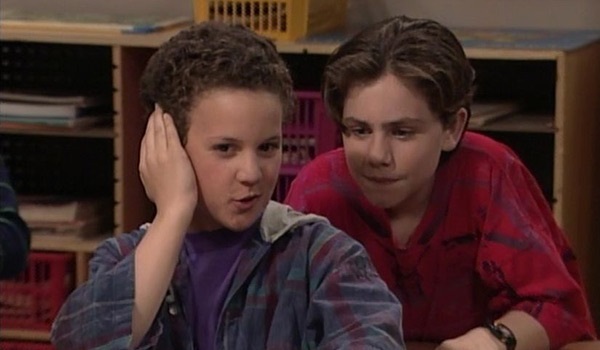 It’s likely that Boy Meets World’s search success in recent years was in part due to Disney’s next-generation continuation Girl Meets World, which has brought back most of the original series’ actors for silly appearances. If the latter show lasts as long as the former, Google will be all about Cory and Topanga Matthews’ legacy for several more decades. The truth is out there, although the Internet has an awful lot of non-truth mucking things up. So it goes with the conspiracy-driven drama The X-Files, which left the small screen on something of a low note in 2002 but was allowed to stay on everyone’s mind due to creator Chris Carter consistently keeping hope alive for more of the franchise in one form or another. It led to a disappointing big screen return in 2008 and then a more positive return to the small screen this past weekend. Even if we don’t get more in the future, it will remain a fixture of our Google-friendly curiosity. 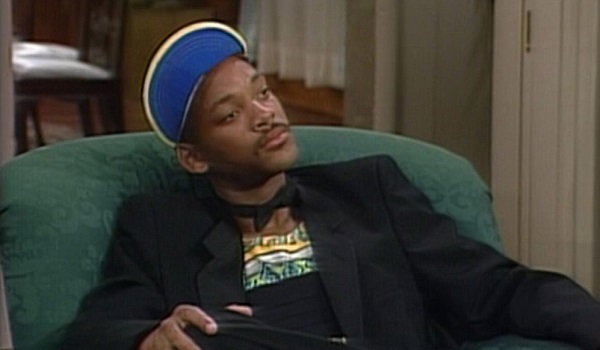 I’m willing to put some money behind the theory that 95% of the searches that The Fresh Prince of Bel-Air has inspired over the past decade were related to Alfonso Ribeiro doing the Carlton dance. And then another 4% probably involved seeing Will Smith singing the theme song, while the last 1% is devoted to finding killer parodies of that very theme. Maybe I’m just talking about myself here. Either way, the SoCal sitcom has remained a fixture in syndication over the years and continues to bring in increasingly web-savvy viewers that want to know why Aunt Viv got changed up. In a battle for saccharine sweetness supremacy, high-fructose corn syrup doesn’t stand a chance against the unbridled schmaltz of Full House. 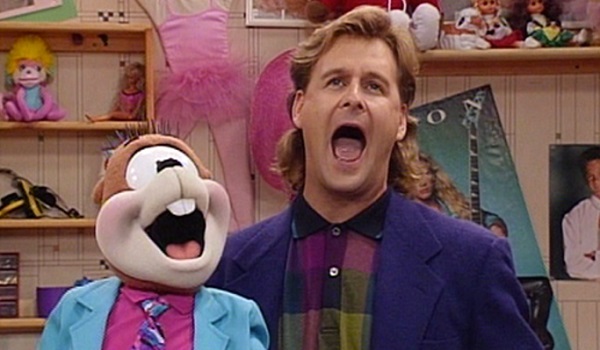 That overly heartfelt approach to the family comedy is exactly what has given Full House its lasting power, along with John Stamos’ hair, Kimmy Gibbler’s fashion and the post-Michelle lives of the Olsen twins. Everyone waited for many years for a bona fide reunion to happen, which helped keep the searches frequent, and although it’s still a month away, Netflix’s Fuller House has had our attention both online and offline pretty much since it got announced. 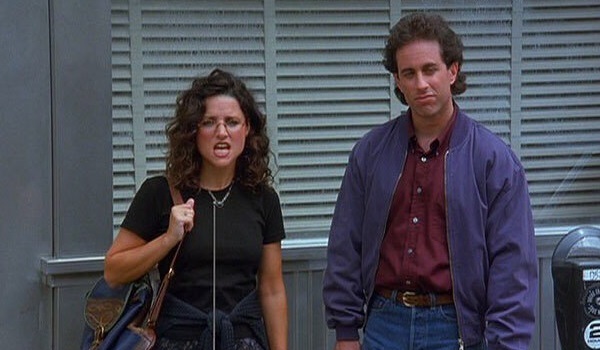 During its nine-season run, The Show About Nothing delivered enough memorable somethings to ensure its eternal pop culture stamina, and Seinfeld continues to inform and influence society today. The show gets annual search boosts from Festivus celebrators, and it has lived on over the years through occasions such as Curb Your Enthusiasm’s meta-reunion, a Super Bowl commercial, Jerry Seinfeld’s Comedians in Cars Getting Coffee and random news bits that the cast and crew let loose every so often. And there are also presumably millions of people searching for videos of Jerry and George doing the bellybutton voice. Helloooo! By a wide margin, Friends upended its former Must See TV Thursday lineup compadre Seinfeld in terms of search popularity. 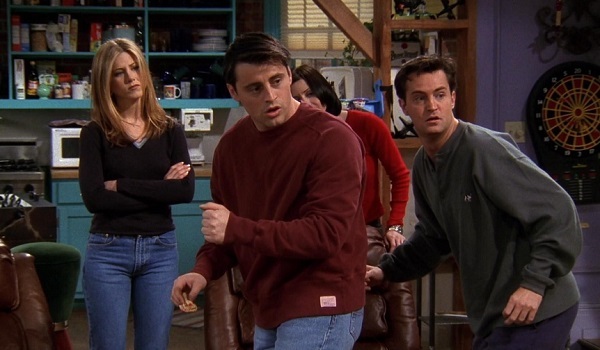 Through romances with questionable endings and characters with pronounced personality quirks, Friends became the blueprint for the then-modern sitcom, and it remains a favorite for many. And if people aren’t searching it to look and see if that was indeed Paget Brewster and Soleil Moon Frye on those episodes, they’re probably looking to see if the cast is coming together for anything new. That search actually panned out recently for the most part, as the majority of the cast came together for an upcoming NBC special. 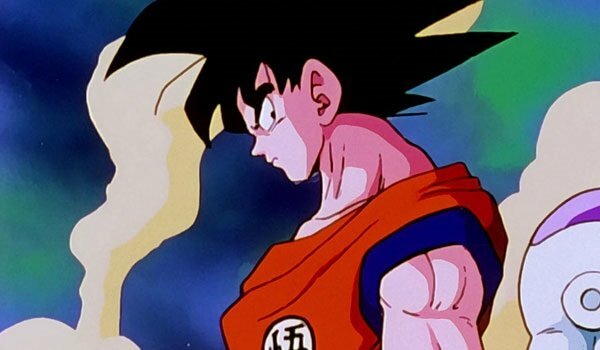 Easily the most unpredictable entry on this list – even if you’re not sitting outside the fanbase like me – Dragon Ball Z is an outlier for so many reasons. It’s the only non-American series, the only animated series, the only one based on written works, and the only one that didn’t depend on primetime viewing on a broadcast network. Diluting the surprise is the fact that the show has basically always had a huge Internet presence, aided by the franchise spinning out into follow-up manga, a slew of video games, movies and more. Like some of the other entries on this list, it’s a brand that will likely never fade, and the rabid fanbase of the original series will be there to fight over who sees each new project first. Head over to ItsGr9 to see the full list of the 20 most searched for shows from the 1990s, as well as an intriguing breakdown of the Top 5 shows searched for by state. (Spoiler alert: Washington loves Frasier.) But first, head to the next page and tell us which shows you’re still hung up on. Which Of These Shows Are You Still Interested In The Most?